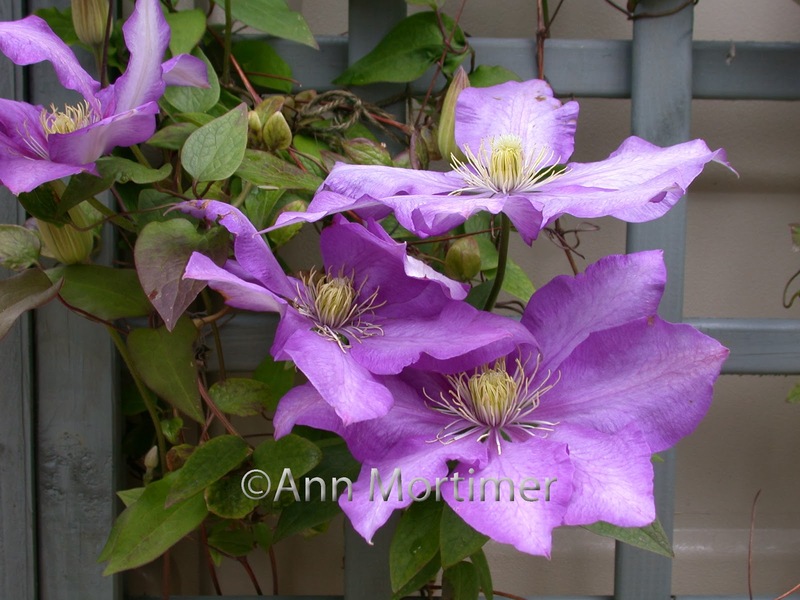 We had a really nice day at the Centre of England Arts yesterday painting clematis. I promised to upload the photo we used. So here it is. The members of the group have my permission to print it out and I hope you all have fun finishing your paintings. They were already on their way and looking excellent when we displayed them at the end of the day. Well done everyone…it was solid work but so absorbing and many of you said how much you had learned. for me that is the most important thing, that you can go away and have another go using those techniques. The CoEA is a particularly useful venue to know about and to consider when you want to do a workshop. It’s just off the M42 between Birmingham and Coventry and so is easily accessible. 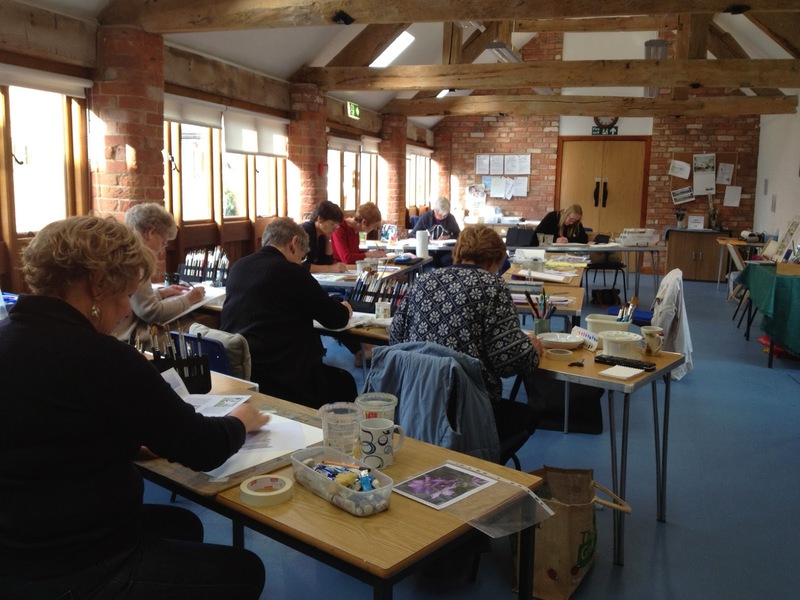 As you can see the studio is large light and airy and part of a complex of converted barn buildings…very beautiful. I always enjoy my time there and being greeted by Julie Hyde, its creator and such a clever, lovely woman.